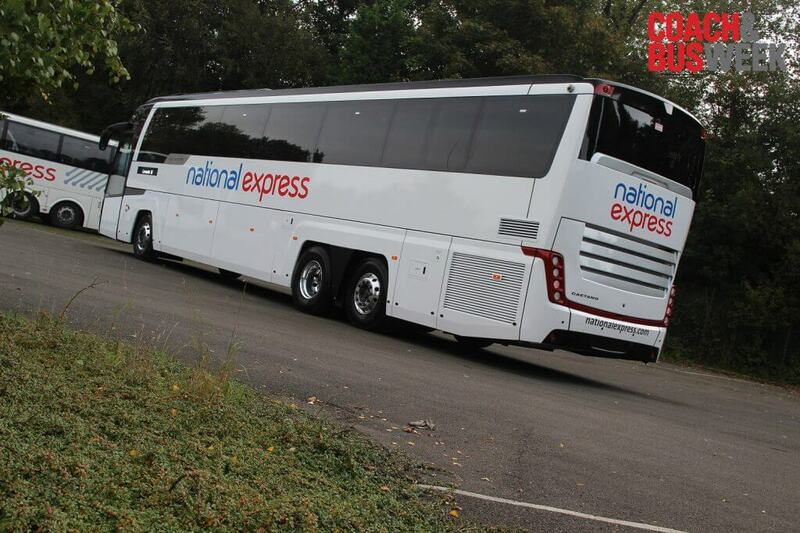 National Express UK Coach unveiled its new Levante III at Caetano’s UK headquarters near Coalville, Leicestershire on Wednesday (September 27). 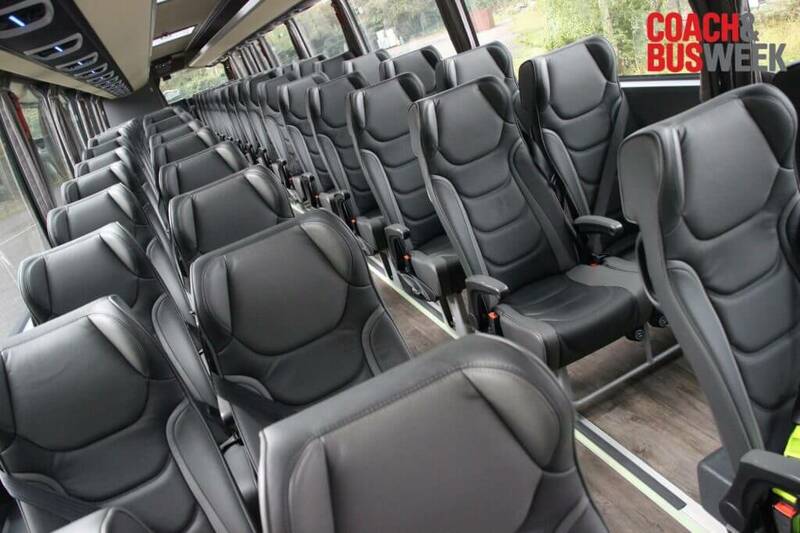 The striking new vehicle will shortly enter service with Edwards Coaches and more immediately will be displayed on Caetano’s stand at the Coach & Bus UK show next week. 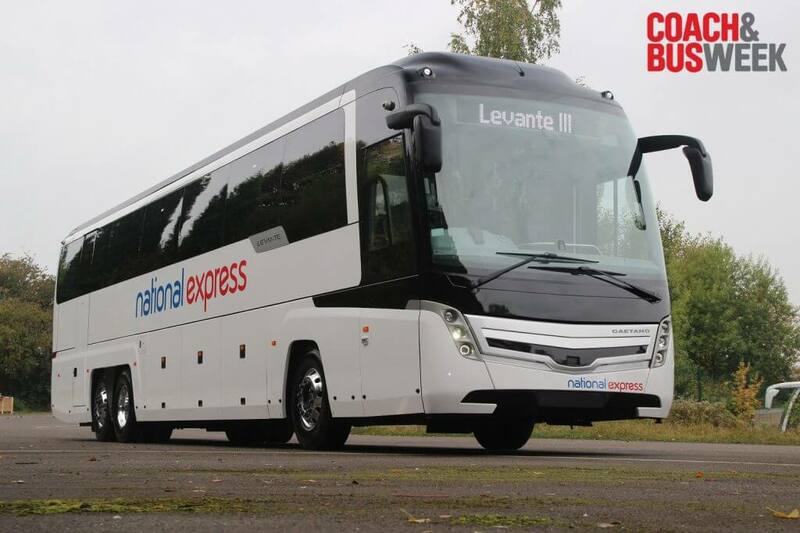 While this example is based on Volvo’s B11R chassis, a Scania-based variant will be heading to the UK from Caetano’s Portuguese factory in the coming weeks. Full story in next week’s issue.